In this time of email and instant messaging services, some people and business still prefer to use fax. There are multiple reasons for use for fax machine by these businesses. But with the advent of the internet, sending fax has changed just like the way many things changed with the internet. Today, you can fax any document via internet fax. These services also have various apps using which you can send any fax. For iPhone, there are few apps that we have reviewed. Mentioned below is a comprehensive list of some of the attractive and useful apps for iPhone. 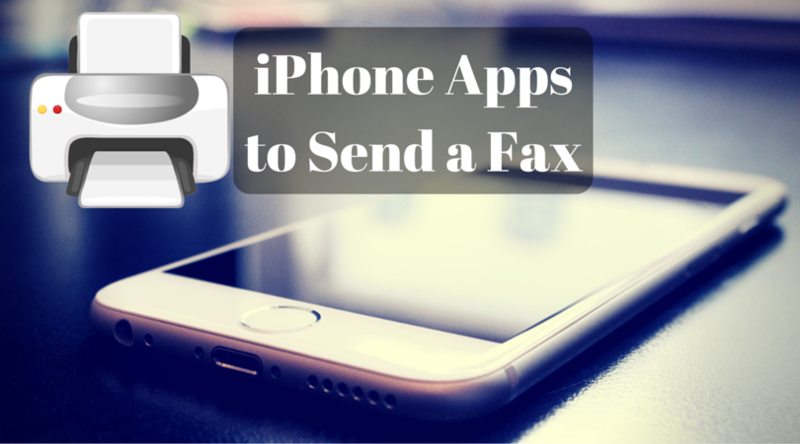 If you require a simple app to send documents to someone via fax, this app is what we recommend. It is free to download and IAPs for sending a fax. You can download this app from here. Free to download with IAPs, iFax has been admired by many and has received great reviews. Another feature is that it comes with an Apple Watch app. You can download iFax from here. With its impressive layout and appearance, Camscanner is a great app which can do more things other than sending a fax. Free to download with IAPs, you can also get the premium version by referring this app to your family and friends. Here is the link to download this app. This neat looking app simply called Fax enables you to access and send the documents from any source and then fax them. This app is well-suited to fax documents from storage service like Dropbox. Link to download this is here. MaxEmail Fax was built to take the maximum advantage of iOS 8. It allows you to receive faxes as well as send them via your own MaxEmail number. You can download this app from here. Along with scanning option, this app’s faxing capabilities are part of its service. It features edge and corner detection. This app is also suitable for those who wish to create a paperless workflow. This app is among the simpler apps which allow an easy and simple way to send a fax without any fuss. Most of us may still hope that faxes had stopped being used years ago. But in case you do need to send any fax, then these apps can come in handy and solve your problem in an instant. You can also search for more such apps that may suit your need. So, go ahead and start using these apps. Tell us what you think about it. Submit your reviews and suggestions in the comment section below.